Marriott officially released their Summer MegaBonus promotion today along with SPG and Ritz-Carlton which they own and we'll detail those bonuses after this one. Marriott's Infinite Points MegaBonus will reward any one who can complete multiple stays this summer as the bonus doesn't kick in until your 2nd stay. 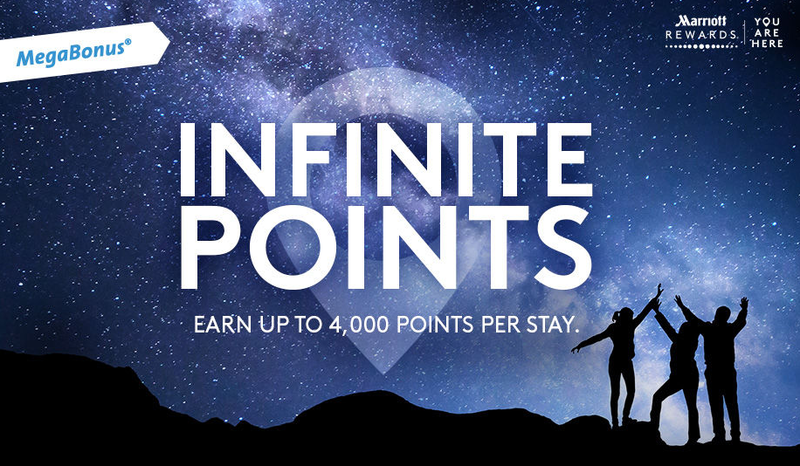 That bonus is 2,000 when you complete your second stay at any Marriott Hotels Worldwide and then also after that 2nd stay you can get an additional 2,000 points for each new brand of hotel under the Marriott banner that you stay at. So if you stay at a Marriott first and then complete a second stay at a Courtyard you'll earn the 2,000 bonus points for completing 2 stays and you'll get 2,000 points for having a new brand on that second stay. Have a third stay at a Residence Inn? Well that's an additional 4,000 bonus points and so on! You can find many more Marriott Rewards bonus offers here!